Thanks to the show's long-running policy of telegraphing every plot twist to the audience first, we aren't at all shocked to learn that boy genius Ken Ichijouji is in fact the Digimon Emperor. At least it's fun to watch Davis figure it out. 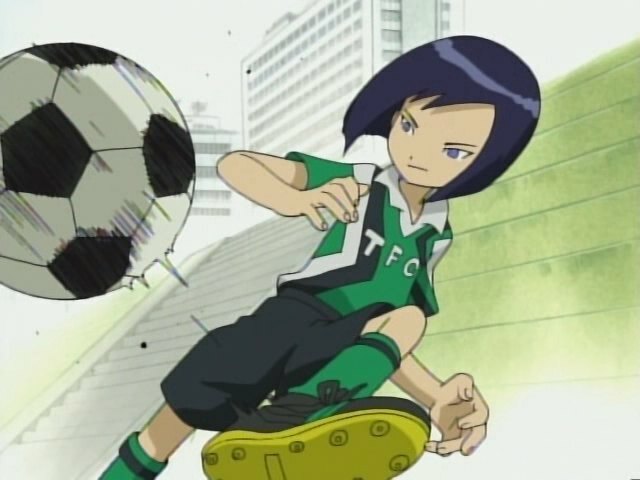 Also, knowing what we do about both the Digimon Emperor's identity and Ken's eventual path with Davis (and for that matter, Yolei), the soccer game is a blast. Both of them are eager to meet Ken, and Cody and Tai relentlessly tease them for it. Tai jokes that Davis should try to kiss him, something half the fandom will echo more sincerely down the road. Yolei spends the whole scene figuratively crushing on Ken and literally crushing poor Poromon. She claims she doesn't want to kiss him, but she wants to marry him. So she does. Ken ends up arriving at halftime, sees the digidestined and, after some pleasantries with Davis, decides to go into beast mode on the field. As he leads his team to a dominating victory, everybody hails him as a tactical master. There's no disputing that as Ken maneuvers himself and his teammates with cold efficiency. However, Davis's sliding tackle at the end takes out Ken's leg and denies a tenth goal. This reveals something about Ken: as much as he's a tactical genius, when it comes to formulating strategy, he's kind of an idiot. Tactics are defined as deploying resources and techniques to achieve goals. Strategy is determining what those goals should be and the best way to achieve them. While Ken's tactics in the game are unquestionably brilliant, his strategy is foolish. His team's up 9-1, yet they still push forward and attack, risking an Odaiba counterattack that could give up goals late. Furthermore, Davis's tackle injured Ken's leg, which potentially jeopardizes the whole season. Remember- this was a practice match. Clearly, Ken had no consideration for his team's long-term objectives. His priority was to embarrass Davis... and since Davis got the last laugh, he even failed to do that. Ken's stunt in the Digital World is the exact same thing. The digidestined had cleared out most of the spires, but Ken establishes one in the Forbidden Valley of No Return to lure them to... what exactly? It wasn't Certain Death, that's for sure. Everybody except Davis falls off the map immediately and the Digimon Emperor summons Davis to play a little morality game. 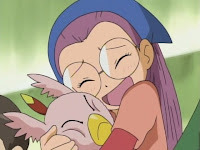 It's a nice little Saw-esque scene as Yolei, Cody, TK and Kari are all strung up with a hungry Deltamon below them. After some forced groveling, Davis is allowed to choose who survives. It's a brilliant piece of psychological torture... except it doesn't accomplish anything but embarrassing Davis. The captives are revealed to be Bakemon in disguise, his real friends escape the mysterious void somehow and the ensuing battle isn't all that close. Especially since Davis, despite his complete disregard for anything tactical and intelligent, is superior to Ken when it comes to executing proper strategery. Yes, I said it: Davis has better strategic sense than Ken. Unlike Ken, Davis knows what the mission is and focuses on it. He's awful at giving proper orders, but everything he does is in attempt to win the war. He subjects himself and Veemon to begging for his friends' lives. 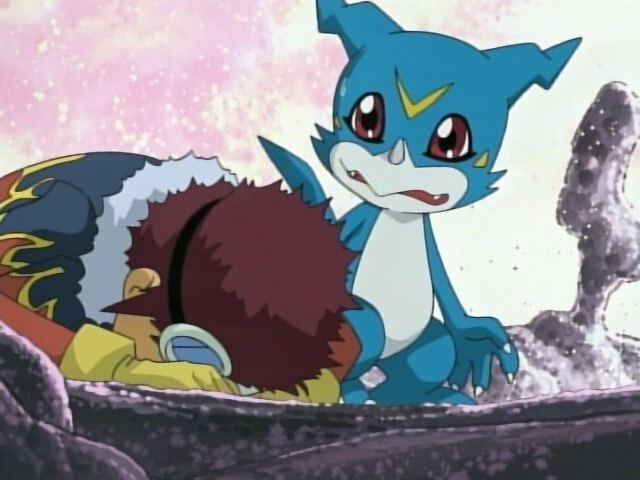 He chooses to sacrifice himself to spare them, a noble act that earns him respect and prevents him from having to watch Deltamon eat his team. When Ken directs the Bakemon in battle, Davis goes after Ken instead. He surely isn't thinking about any of this, but Davis's instincts get things done and Ken's mind doesn't. Seriously, if Ken actually wanted to conquer the Digital World, he would have strung up the digidestined for real. And maybe bandage up that leg rather than reveal himself to his enemies. Wasn't Yolei originally jealous and spiteful of all the attention Ken was receiving? Now she's gone full fangirl. Not that this is unusual behavior when meeting somebody famous in person. Just like in season one, after a low-scoring first half of a soccer game, there's nine goals scored in the second half. What kind of soccer do kids play in Japan and can we watch that instead of the scoreless snoozers we get on TV? It's impressive that the dub not only inserts jokes like the “pinch me” and “duckies and bunnies” gags, but goes back to them at random points for additional comedy. Davis's response when his friends fall through the ground and mysteriously vanish? Yep, start digging! And on that note, where did they go and how did they escape? The funny thing with this episode is that Davis is surprised to see the wound on Ken's leg and assumes it must be the same guy he played football against. Of course, there's no way he could have hurt his leg rolling down a rocky slope or anything. Damn, I'd forgotten that that couple was made canon, too. "Tactics are defined as deploying resources and techniques to achieve goals. Strategy is determining what those goals should be and the best way to achieve them." "In military usage, a distinction is made between strategy and tactics., Strategy is the utilization, during both peace and war, of all of a nation's forces, through large-scale, long-range planning and development, to ensure security or victory. Tactics deals with the use and deployment of troops in actual combat." I just look at them as the difference between short-term and long-term methods. Most of the fandom seems to agree that the kids fell into a wormhole or something and were teleported somewhere. I read the tagline, and I totally cracked up. But... It's the truth.